Clean decorative items gently to remove dust and grime. 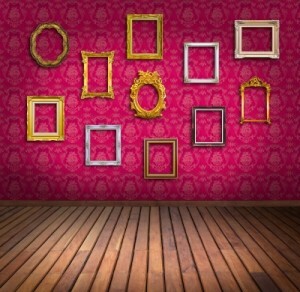 If you have something in a frame, don’t use cleaners that can seep under the glass. Plastic items can be run through a dishwasher. Take your time and clean things well. This will add a nice sparkle to your rooms. Wipe down the outside of any cabinets. In the kitchen, use water with a little dish washing soap or my favorite—diaper wipes. They have just a little bit of soap in them and are not too wet. Some of the cleaning wipes have too strong of a smell or too much liquid.